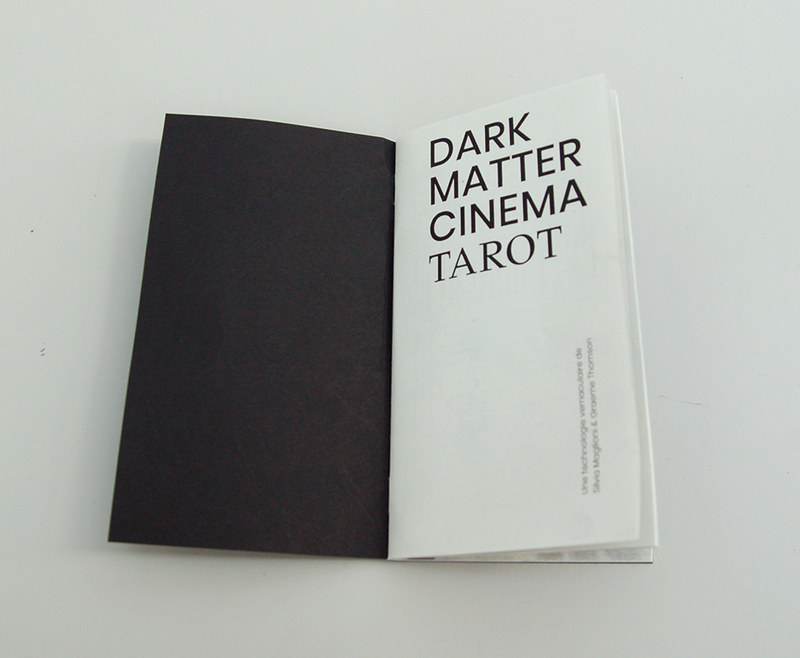 The Dark Matter Cinema Tarot is a tool for exploring how cinematographic images can open up new channels of perception and creativity, connecting different realms of personal, aesthetic and political experience and enquiry. 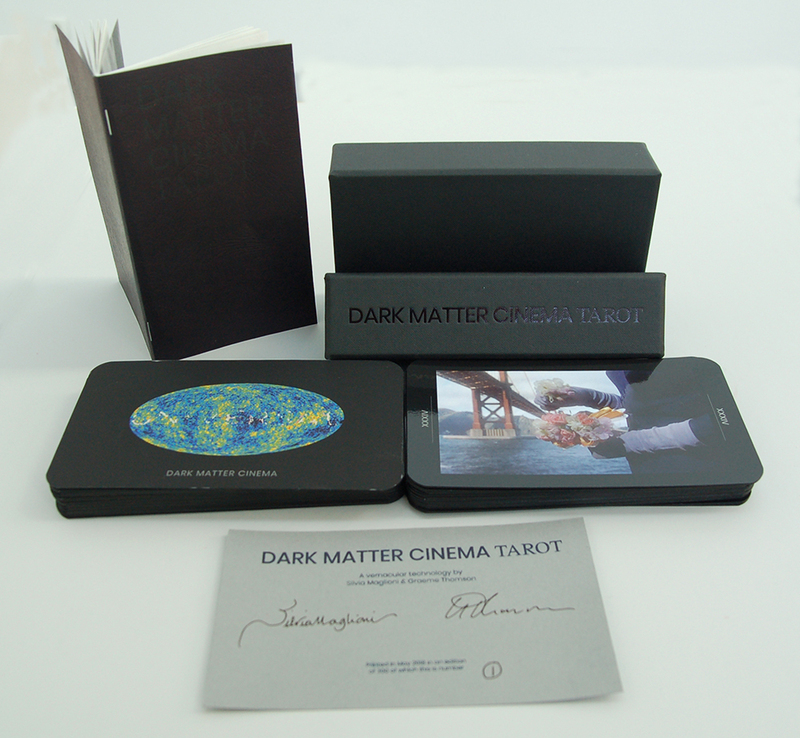 In creating this new Tarot, the artists have replaced the traditional Major and Minor Arcana with 78 still frames drawn from the history of cinema. The rules of the game are quite straightforward: to make a reading you form a Nocturnal Committee (any number of people, from 3 up). One of the participants poses a question to the Tarot that is of potential concern to all and then the whole group read the cards’ response. 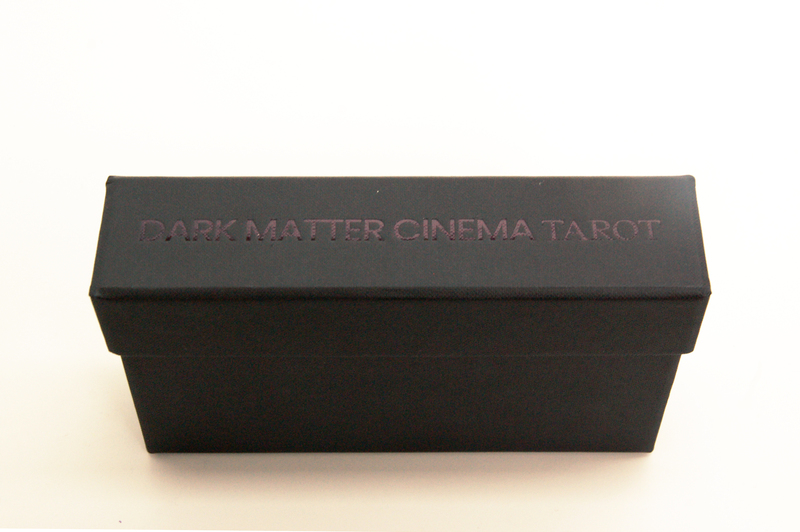 Sharing visions and speaking through cinema images, the Nocturnal Committee reveal the alternative narrative and speculative possibilities that may lie in the different constellations of figures, forms and forces resulting from each fall of the cards. No longer solely tied to their original function, the cinema images, suspended between contingency and fatality, refract the questions posed to them. 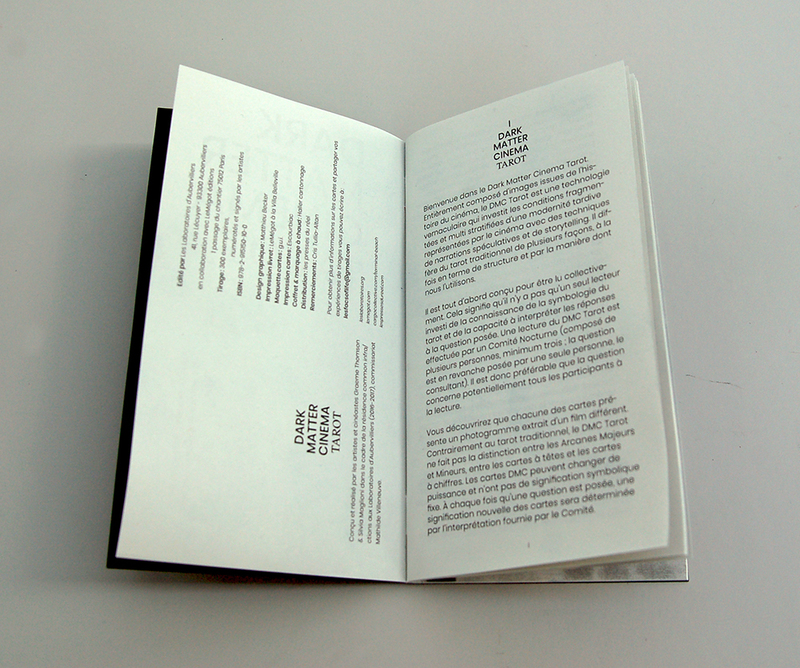 Each reading will form a singular montage of gestures, situations and relations. 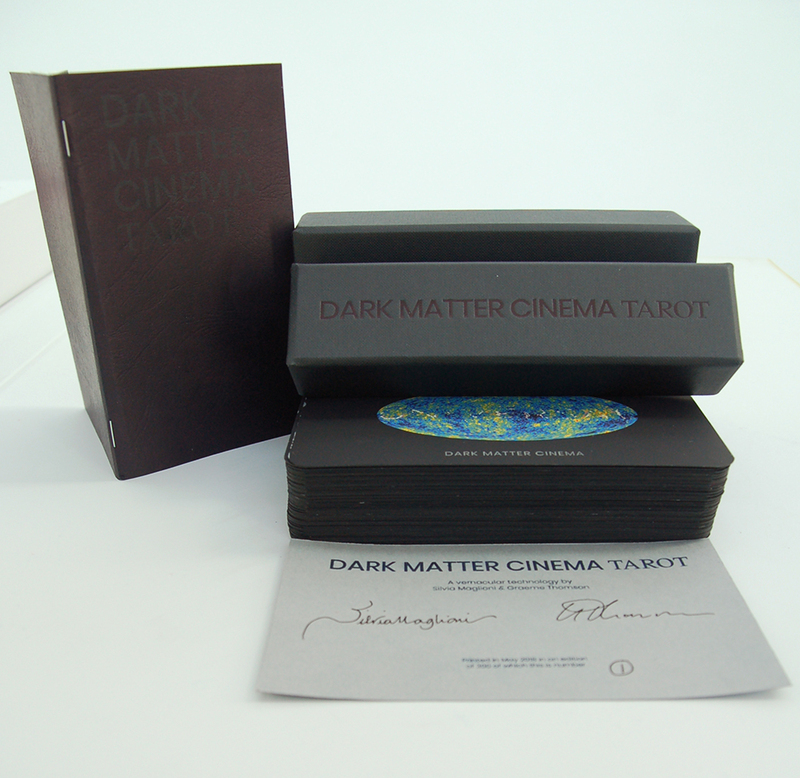 Limited at 300 copies, signed by artists.